Let’s get one thing clear from the start: Journey to the Far Side of the Sun, which was made under the title Doppelganger in 1969, isn’t a great movie. In fact, it rivals Disney’s The Black Hole as one of the silliest and least scientifically plausible films ever made. But there’s still a lot to recommend it, such as a fantastic musical score by Barry Gray, terrific visual effects, and one heck of a good cast. Included in the cast, in a tiny bit part, is Nicholas Courtney. And, for regular readers of this blog, I’m delighted to say that our son recognized him even without the Brigadier’s distinctive mustache. I punched the air. 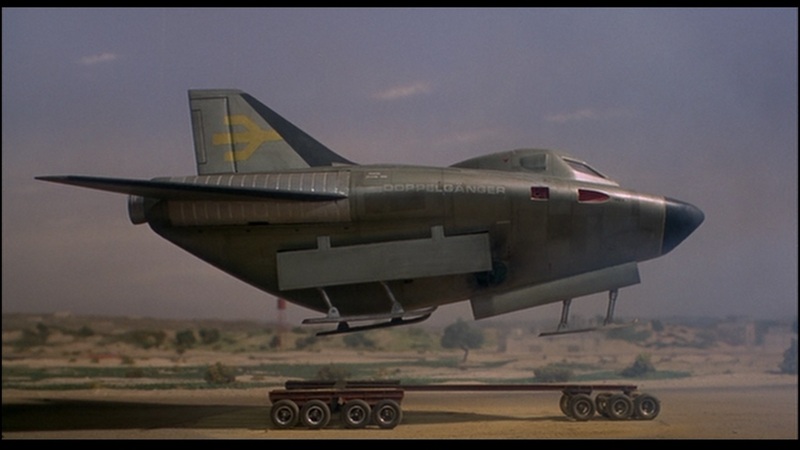 He also figured out very, very quickly that this movie was made by Gerry Anderson’s team. It perhaps helped a little that the look, feel, and sound of Anderson was fresh in his mind; last night, he rewatched the Thunderbirds episode “The Cham-Cham.” Journey to the Far Side of the Sun was directed by Robert Parrish, but the cinematography is by Anderson regular John Read, and this looks precisely like an episode of one of the Supermarionation series, only with live actors. I think it helped our son with a feeling of comfort. Journey is fairly justifiably accused of following in the footsteps of 2001, but the working-man’s-world of the near future in that movie is its own thing. This is the world of Captain Scarlet, right down to the camera decisions to spend agonizing minutes panning across control rooms while nobody really moves, focusing at dials counting down, and getting emergency crews into position for crash landing airplanes. Adding a little bit to the Scarlet similarity, NASA’s liaison with the EuroSEC space program is played by Ed Bishop, who was the voice of Captain Blue. Other small parts are played by Cy Grant (Lt. Green), and Jeremy Wilkin (Captain Ochre). Wilkin passed away last month; we’ll see him again in Doctor Who next weekend. The film’s leads are played by Roy Thinnes, Ian Hendry, Lynn Loring, and Patrick Wymark. Backing them up is an all-star cast of recognizable faces from film and TV, including George Sewell, Vladek Sheybal, Philip Madoc, sixties spy movie regular Loni von Friedl, and the great Herbert Lom, who plays a foreign agent with a camera in his artificial eye to snap secret photos of the plans for Sun Probe. Unfortunately, two big problems are working against this awesome cast. First off, this movie is paced more like a glacier than just about anything I can think of. The rocket doesn’t launch until halfway through the film, and twice we have to mark the passage of time with slow and trippy psychedelic sequences. 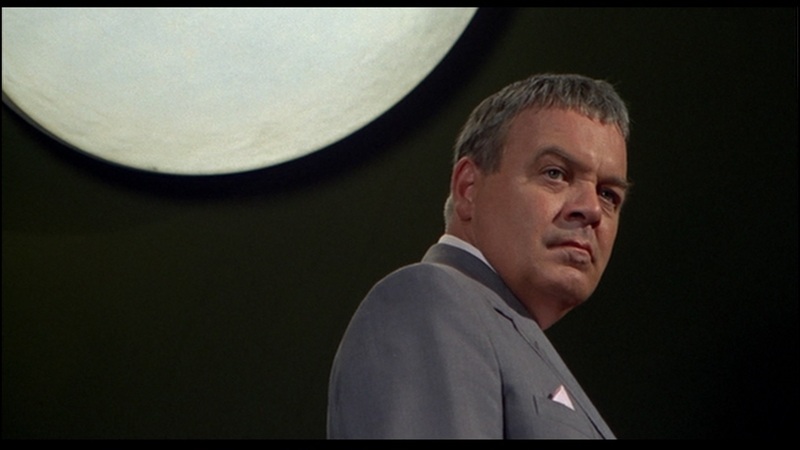 A big problem upfront is that Patrick Wymark’s character, the director of EuroSEC, has to find the money to fund his mission to a new planet on the far side of the sun. Agonizing minutes are spent worrying and arguing about money, instead of just having NASA immediately pay for it in exchange for sending an American astronaut on the mission. The astronaut’s marriage is in trouble. Mercifully, Wikipedia tells me that they chopped out a massive subplot about his wife’s affair, otherwise we’d never have got into space. Either the astronaut can’t have a baby because of space radiation or because his wife is secretly taking birth control pills. Neither really matters much. But they keep introducing new elements and complications. Ian Hendry, who is awesome here, is out of shape and shouldn’t go on the mission. This is all interesting character development, but none of it ends up mattering. It’s like the Andersons and scriptwriter Donald James were writing an interesting prime-time drama about the machinations of life among astronauts getting ready for a mission, and were told instead to do it all in forty-five minutes and then do something with the rocket and another planet. So you’ve got spies, a broken marriage, a physicist who’s not fit to fly, budget troubles, security leaks… Wymark had played the lead in The Plane Makers and The Power Game, a backstabbing boardroom drama that ran for seven seasons earlier in the sixties. I think Journey could have made a good show like that. I don’t think our son would have had all the neat rockets and crash landings to keep his attention, but I’d probably give it a spin. Or possibly not. 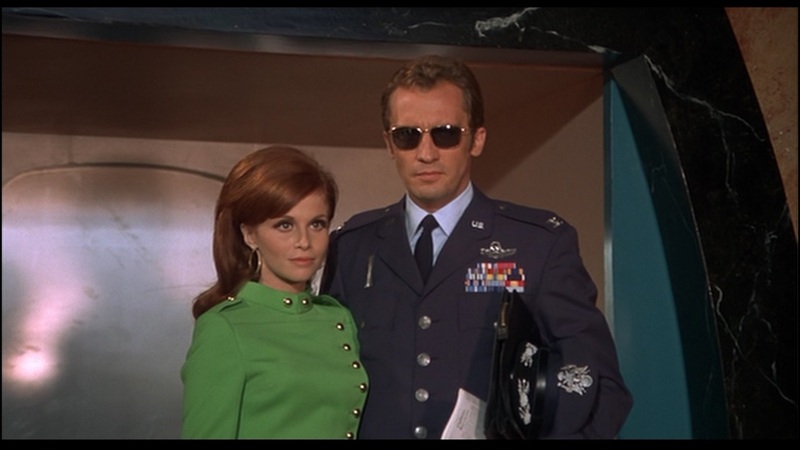 Bishop and Sewell were pretty boring in the TV series UFO, which the Andersons made soon after this. The plot of the movie is about the mission and a mystery. 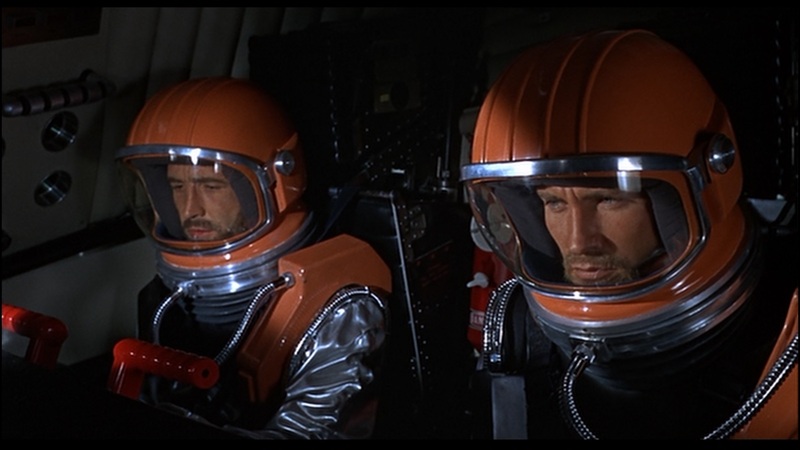 Why did Thinnes and Hendry turn back and return to Earth halfway through their six week mission, when Thinnes insists they landed on the hidden planet on the far side of the sun? The answer won’t surprise anybody who read this chestnut of a story when they were a little kid thumbing through schlocky pulp sci-fi from the thirties, but I enjoyed the way that Read and Parrish kept finding hints for the audience in the form of mirrors. If you like watching Gerry Anderson’s work or a cast full of great actors, this isn’t a bad way to spend a hundred minutes. If you’re looking for an even remotely plausible science fiction adventure, though… you’re really, really going to have to check your disbelief at the door. Today’s feature was a gift from Nikka Valken, and I invite you all to check out her Society 6 page and buy some of her fun artwork! If you would like to support this blog, you can buy us a DVD of a movie that we’d like to watch one day. We’ll be happy to give you a shout-out and link to the site of your choice when we write about it. Here’s our wishlist!